Entered Parliament in 1984, when he became MP for Stafford in a by-election following the death of Sir Hugh Fraser; since 1997 he has been MP for Stone, Staffordshire. 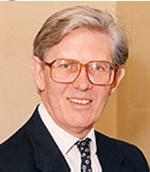 He has served on various parliamentary committees: the All-Party Committee on East Africa (1988 -), the All-Party Group for the Jubilee 2000 (1997-2000), but more notably the Select Committee on European Legislation (1985 – ), and as chairman of the Conservative Backbench Committee on European Affairs 1989-1991. He is known as a strong eurosceptic and at one point was ringleader of a rebellion over the Maastricht treaty that almost brought down John Major’s government. He was described by Ken Clarke as the most euro-sceptic Member of Parliament. In 1993 he founded and is chairman of the euro-sceptic European Foundation which was created during the Maastricht Rebellion, the funding for which he organised. During 1994-1995 he was member of the Tindemans group. He is currently Secretary of the European Reform Forum, and is a Vice-President of the Conservative Small Business Bureau (1986- ). After he became leader, fellow Maastricht rebel Iain Duncan Smith gave him the post of shadow Attorney General in 2001, and in 2003 was made a spokesman on Constitutional Affairs but he returned to the backbenches later that year after Duncan Smith was ousted as party leader.